Born in Illinois, the youngest of five children, Kurt Farquhar 's musical education took him from the streets of Chicago to the Music Conservatories of France. By the age of twelve he had already written his first symphonic work. Today, Kurt Farquhar is a four-time BMI award winner for Most Performed Music on Prime-Time Television. For over two decades Kurt has been one of the most dominant composers in television music (KING OF QUEENS, THE GAME, LINCOLN HEIGHTS, GIRLFRIENDS, SISTER SISTER, SOUL FOOD, THE PARKERS, SOUTH CENTRAL, THE PROUD FAMILY, and many others). 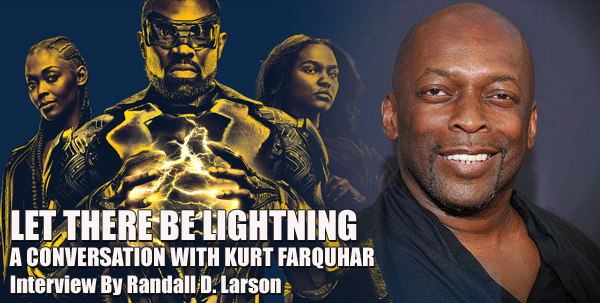 Some of Kurt's film credits include NOT EASILY BROKEN, COVER, LIFTED, 96 MINUTES, and the hit DC superhero TV series, BLACK LIGHTNING, which will debut its second season later this year. Kurt is also the founder and CEO of True Music, a highly respected music licensing catalog based in Pasadena, CA. He is now scoring the new courtroom drama IN CONTEMPT, which premiere on BET last April. Q: Why don’t we start by telling me about your background in music and how you first got into film and TV composing in the early ‘90s? Kurt Farquhar: I wrote my first symphony when I was 12 years old. After spending a summer at Berklee College in Boston I ending up going to the National Conservatory of Music in Versailles, France, and came back and studied with [noted percussion teacher] Johnny Lane at East Illinois University. I moved out to Los Angeles after a few years touring around with various artists like [trumpeter] Freddie Hubbard, and then I got into television the old fashioned way – nepotism! My next oldest brother Ralph Farquhar was a writer on HAPPY DAYS, and he also wrote for MARRIED WITH CHILDREN. He had always been telling me that I would really be good for television because I wrote music in so many different styles. I said, “Ralph, I don’t even watch television! Why would I want to write music for it? I wouldn’t even know what to do!” That went on for a little while, and after ending up homeless and living on the street they came up with a job for me to do a theme for a TV show called LIVIN’ LARGE. It ended up being the End Title song, but I got interested in doing that. It happened slowly, a show here, a pilot there, and it seemed pretty interesting to me even at that point I was starting to try to write for other artists. Then it just seemed to take off for me. I really wasn’t putting a lot of effort into getting more assignments but after a few years of it I thought, “I wonder what this would be like if I actually applied myself here? !” So I tried that and the first year I did that I broke out and picked up a slew of shows; I think I was working on eight or nine shows at the same time, so it was pretty exciting. It’s kind of gone on from there. I maintained doing multiple shows for the last 30 years, so I’ve been pretty fortunate. I moved in to doing a few films, but still I focused in a big way in the television world. Q: What would you say were some of the TV shows you worked on that were particularly rewarding for you or that you learned from as you were starting out? Kurt Farquhar: Each one of them has something. SOUTH CENTRAL [Fox, 1994] was a unique hip-hop/jazz score back in the early ‘90s. MOESHA [Paramount Television/UPN, 1996-2001] changed things a great deal in terms of really infusing a current urban hip-hop sound to television, I think that’s what I was mostly known for, introducing the urban style of scoring, taking it so they weren’t just licensing songs but actually creating a score. I moved into more of the hour-long world with SOUL FOOD [Showtime, 2000-2004]. That was a big change, for me, to have a successful hour-long… up until recently that was the longest running African-American hour-long dramatic series, so that was a big change in working with Felicia Henderson on that. I still like KING OF QUEENS [CBS, 2000-2007] – that was another big moment, it was a show that could not be further away from an urban sound and I think a lot of people were shocked that that was me! Doing that show was a challenge of making a unique sound that wasn’t anything like me. I’d worked with Michael Weithorn on a number of shows before, but he gave me an opportunity here: “bring us something different, bring us something special.” He had suggested having a really serious tone to the show, and he wanted to do something very weird, different, with asymmetrical types of sounds and melodies. I was lucky enough at the time to get Darrell Jones, who’s been the bass player for The Rolling Stones since 1994, to come over and he played bass for the theme song and a good deal of the first couple of seasons of KING OF QUEENS. I think we came up with a very, very unique sound. An amazing guitarist named Steve Boyken was playing with me and I had Kevin Ricardo on percussion; it was just guitar, bass, percussion, and overdubbing tons and tons of additional percussion on it! Michael Weithorn used to be a drummer so he loves all kinds of percussive sounds. More recently, in a show like STITCHERS [ABC Family/Freeform, 2015-2017], that was a very unique challenge. I don’t think, again, that anyone, if you’re familiar with that show, no one was thinking that I would be the choice for that series. It just didn’t seem like a natural fit! I had just come off of doing BEING MARY JANE [BET, 2013-2018] which was another leap forward with music, where I was doing an urban show without forcing an urban sound, because I feel like people had grown more and that black people weren’t identified with just one sound, so we started trying to infuse other ways of expressing these characters. I virtually never did a beat! 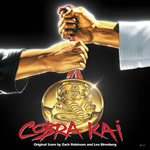 Most of the beats, if there were anymore, came from Kier Lehman, the music supervisor, who would license various songs. Then I got STITCHERS which was a show on ABC Family, which is Freeform now, about a government program where they were able to “stitch” agents into the mind of recently deceased people [to investigate their murders]. That premise alone let me do just about anything! It was a very young cast, it was not an African-American slanted show, and I don’t think anybody thought that I would be the person to come up with the sound for that show. Kurt Farquhar: That’s been really interesting. I think for me, I’ve just been lucky enough to have producers who pushed me to do something different. Michael Weithorn pushed me to do something different, my brother Ralph pushed me to do something different. Here’s one for you – originally in the early days I was never really into urban and hip-hop music. I didn’t have one hip-hop record in my house! And yet I was the person responsible for ushering in the hip-hop and urban sound into the scoring realm! That wasn’t somebody saying “Go call him!” No, that was just me trying something different. And when I was with STITCHERS, the producers, Jeff Schechter and Todd Holland, wanted something different and they saying “go as far as you want to, try something really, really different,” and I think we really came up with a very unique and special sound. I’m absolutely certain that doing STITCHERS led me to BLACK LIGHTNING, there’s no doubt about it. 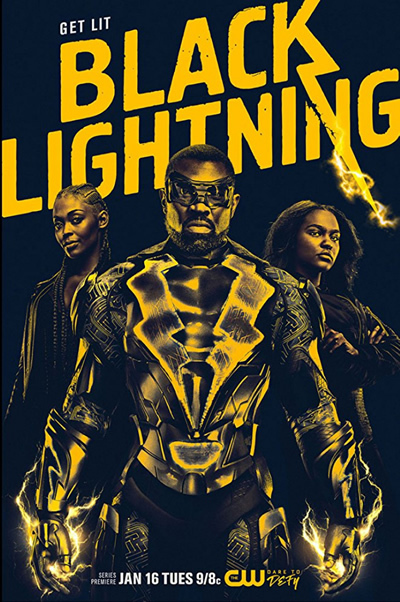 There, again, in 30 years you could scratch everything and look up under every chair, but there’s zero of music from me on air that would tell you that I would be able to do the score that I’m doing for BLACK LIGHTNING today! Q: With STITCHERS you had an opportunity to, as well as scoring the drama and the action, but you also had this science fiction concept that, as a composer, you want to bring to life and make it real and believable and help with the audience’s suspension of disbelief. 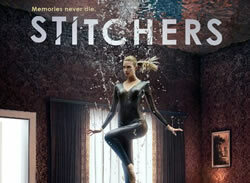 What was your approach to scoring STITCHERS from the science fiction standpoint? Kurt Farquhar: One of the important elements of STITCHERS is what happens when the characters go into a stitch. Jeff and Todd always said, “When you are in the stitch, it had to be really different, it had to be out there and edgy because you’re inside someone else’s mind. They don’t go inside in a smooth, linear sort of way, they’re broken and jagged and then they’re yanked over to this area because it was a hot spot. So it was very angular, but at the same time, you weren’t stitched into a computer, so it wasn’t as much an electronic sound as it was organic, because you were in an organic being, so it’s more rounded and fuzzy. That guided me a lot. Were there a lot of electronics to the sound? Yeah, but it was more of an organic sound in the way we used it. And there was a lot of pulsating sounds, like being inside a body type sound. There were a lot of really inventive melodies and fragmented pieces, and it gave you a lot of very interesting circumstances to deal with. That was the portion that was heard during the stitches, but then there was a whole other sound for outside the stitch, when the main characters were at home, or when they were out with their friends. Being in the stitch is basically a mission, but they also had their mission outside of the stitch, and that’s another thing. And one other element to it that was very interesting had to do with the fact that the main character was a woman, so I searched for what kinds of things I can do, what elements I can expend upon, that might made you feel like this wasn’t happening to anyone but this was happening to her as opposed to him. So there was definitely some powerful melodic content that was there meant for the purpose of humanizing her, especially in the first season where she was supposed to be a person who did not have emotions – something had happened to her at a young age so she did not have emotions. So I would at times have to be her emotions, musically, and have to tell you what to feel for her. Q: On a show like STITCHERS what kind of instrumental palette were you able to use, budget-wise? Kurt Farquhar: [laughs] Interesting that you’d put it that way! That score was done 100% computerized. We didn’t have one real live instrument on there; it was all me sitting at a computer and playing all the various parts. But that was very interesting – there are unique ways to be able to do that and make it a lot more special these days. There’s nothing like being able to have a live orchestra do it, but we rarely are able to use that. As a matter of fact, and this was interesting – the Television Academy did a “Words & Music” concert last year and I was one of the lucky few who was invited to play with a live orchestra, so I did a piece of the score from STITCHERS! That was so special to see it all out live! 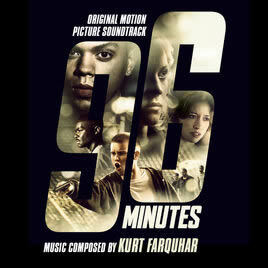 Q: You had also done a feature film called 96 MINUTES , which also gave you a soundtrack album. How did you get involved in that and what was your approach on scoring that action film? Kurt Farquhar: The director, Aimee Lagos, asked me to join her on this journey that she was embarked on with her film, 96 MINUTES, and it just spoke to me. From the first time she had me over to watch the earlier cuts on it, I said I am so perfect for this, everything that I know has led me up to doing this, it was a very, very interesting movie taking place primarily inside this car, there’s been a car-jacking and a young lady had gotten hurt, and eventually dies from her injuries. One of the things that I really liked about it was, there was a lot of tension and multi-layered storytelling. It was a very intimate story about these few people who, had they turned left as opposed to turning right, everything would have been different. One of the kids involved with the shooting just found out he was going off to college, and he was only in that car because they were going out to hangout and party with some friends, and one of the guys just went off and just did the thing and took these girls’ car and eventually took one of their lives… I just related to it in every way possible, and Aimee is just a brilliant director, I’d love to see her do more work and get a chance to work with her again myself. Kurt Farquhar: With that score I did a couple of things. I started building a palette of created sounds. I hired a sound designer to create noises and bangs and screeches and sounds for me to use as instruments, so there’s a lot of that with a bit of light orchestration. The music has a certain urban nature without necessarily using beats and things, just the types of sounds that you might hear in some of the darker hip hop records but not playing actual hip-hop – just using the sound, which is a technique I’ve used several times. On the movie LIFTED , which was set in the south, producer Lexi Alexander wanted me to have a sense of place but she didn’t want me to play country music, so I used all kinds of things like hammered dulcimer and all of that, but never played anything that was that type of music. Then I used a lot of sounds that would have been used in a gangster/hip-hop song but I didn’t use it to do hip-hop, I used it to do score – so you have a vibe that would have sounded familiar, if you’re into that music. I compiled and laced a bunch of different sounds together and then brought in poignant melodies at just the right time. Q: How did you get the job to score BLACK LIGHTNING? You mentioned that your work on STITCHERS helped bring you to their attention, what specifically was it that brought you into the show? Kurt Farquhar: I’d worked with [creators] Salim and Mara Brock Akil on GIRLFRIENDS [CBS, 2000-2008], THE GAME [CBS, 2006-2015], and BEING MARY JANE. But that absolutely wasn’t enough. 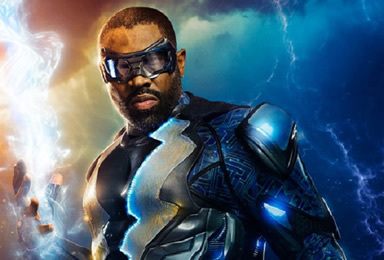 There’s no way that any of those shows would have suggested I’d be the guy to score BLACK LIGHTNING! But STITCHERS had definitely showed that I had a singular voice in terms of something that was more sci-fi and edgy, and Salim had consistently talked to me about how he wanted another way of looking at this – yes there are certain things that are have to be have an element of the superhero lore, musically, and yes I do bring out the soaring French horns when he sticks out his chest and lets bullets bounce off of him! But there’s much more. We’re combining a lot of different sounds. So how do I do a score that doesn’t feel like: “here are all these interesting songs, and – oops! There’s some score!” – and now let’s get back to the songs, and, oops! Here some more of that score stuff!” The challenge was to make you feel like you’re seamlessly coming out of the songs – so I used my ability to do a trap/hip-hop beat and morph it into a score piece, so that you don’t know where one thing ends and the other thing begins. Q: What would you say is the most important thing for the score to do in this show considering its varied and integrated symbiosis? Kurt Farquhar: One thing, for me, the character Jefferson Pierce was conflicted, he did not want to be this hero any more, and the whole idea of superheroes for him was a painful one. His wife looked at it as his addiction, that’s why in the story she left him and that broke up their family. So he doesn’t want to be there, in the worst way, and why he started it, some of his impetus for doing it in the first place had to do with watching his father die right before his eyes, so his superhero theme, for me, has to have a certain sort of pain and darkness behind it, even in its soaring parts. There’s an ostinato piano figure that happens a lot which is actually the basis of his main theme, and we eventually orchestrate it out later and when you see him, when Gambi shows him his new superhero costume, that is essentially just the piano theme all orchestrated out now with the soaring French horns on top of it. It’s the core of his music. Kurt Farquhar: Yeah. But at the core of it it’s still got that darkness and that pathos that’s inside his heart. To exemplify his character when he is not Black Lightning, there’s a male vocal that happens a good deal of the time that comes in and out and that’s sort of like the inner workings of his heart and his soul. It’s how would I feel being, not just a superhero, but an African-American superhero? How would I make him feel that a little bit more without twisting on a beat? That voice does it in a subtle way. It’s not always there, but it’s subtly getting inside your head and your heart. Q: Those songs are also setting the environment too. Kurt Farquhar: Oh my goodness! What Kier and Salim Akil, the showrunner, are doing with that is just amazing. They’re doing a fantastic job of just choosing just the right song, going back to Nina Simone, which is pretty obscure for a superhero show! But again, this is done to take you out of your normal and your obvious, and hoping to paint these characters in a more real and well-rounded way. Just because you have an African-American character doesn’t mean all you can use is hip-hop! I mean, quite frankly my favorite kind of music is Country & Western! Go figure on that one! You would hear hip-hop music played in my house because I’m a composer and I work with that, but you’d also hear Country & Western, you would hear jazz, a lot of Keith Jarrett and Miles Davis, and you’d hear a lot of roots music, and so if you’re going to paint an African-American family today you’re going to have to use a few more colors. Q: How have you been treating the villains in the show? Kurt Farquhar: One of the darkest characters they have in there is Tobias Whale, and there are certain things that suggest he may not be a normal guy. That said, there’s not like a Darth Vader-type theme when he comes in – the marching orders on that were to be dark and twisted, so I really put the limit on being something a little weirder and a little stranger than you’re used to seeing in a television format. Then we have the character Lady Eve who is his boss, who is another level of twisted. Everything is discordant and very discomforting at all times. Somebody asked me recently: “She’s really particularly dark and twisted. Where are you going with her?” “More dark!” [laughs]. Q: How have you treated the character of Anissa as she begins to realize that she’s powered? Q: What’s been for you most challenging about scoring BLACK LIGHTNING? Kurt Farquhar: The sheer volume of music and the difference of it. There’s a lot of new stuff that has to be acknowledged and refined in the show. I feel like every single cue is like some huge, big important thing. Some of the smallest cues seem to be so important and I stay up a lot of late nights just trying to figure it all out, trying to come to a point of understanding with it. 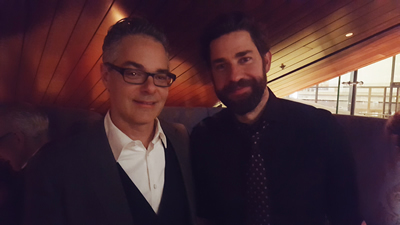 Q: A QUIET PLACE is a massively affecting score with some wonderful textures and sound designs. How did you get involved in that film? Mario Beltrami: They sent me the script and I thought it was really unique. It’s not often that you get a script that has practically no dialogue and it made me instantly curious as to what kind of canvas this would be and how music would fit into this world. So I was intrigued and met with the director on set. Q: Once you began and you had your spotting session, what initial impressions did you have about what the score needed and what were they asking of you regarding the music? Mario Beltrami: Actually we didn’t have a spotting session for quite a while, not until I was pretty far into it. After meeting with the director, he sent me some music that he found inspiring – not necessarily for a scene in his movie but just something that was in his head as he was shooting. I listened to that and it gave me a little bit of a sense what he was thinking, and I started to work on some ideas. My initial thought was that obviously since there’s almost no dialogue, that (a) the sound and the music will have to work really well together as a unified experience, and that (b) we’re going to have to be really careful about where the music goes and how its spotted. The other thing I thought when I saw the movie is that it wasn’t really a horror movie – to me it was more of a family picture, with the real message bring the strength of the family and what lengths someone would go to protect their family and how they would cope and function in this hostile environment. So the first thing I worked on was something that would be a family theme. I thought – and this is also after talking to the director – that they’d been in silence for so long, maybe they’re beginning to forget even what music sounds like and how might that relate to a score. A score has to work on an emotional level to affect the audience but it also serves as a point-of-view. I thought there would be a way to manipulate some of the instruments so that they’re not all quite in tune – but they’re close enough that other instruments can play together and it’s not going to sound discordant. The solution that we came up with was to take a piano and detune the black notes by a quarter, and then keep the theme on the white notes in almost a modal type melody that uses some of the black notes infrequently as part of the passing melody but didn’t rely completely on them as you would in a very chromatic piece. This way you would have the melody but some of the notes, without sounding too out there, just gave it a skewed feel. Q: Something that really impressed me was you’ve got this repeating pulsing moan; it’s just so eerily effective. How did that come about as a component of the score? Mario Beltrami: That was the second thing to figure out, after I’d worked out that family theme, and that was the musical identity for the monster. Even when the monster wasn’t around visually, you could feel its presence, so the idea was to make something that would work as a musical representation of getting queasy in the stomach, and your pulse might be starting to quicken, knowing that there’s this presence nearby. In counterpoint to the family theme which is all acoustical, the monster motif is all electronic - but it’s electronic manipulations of acoustical instruments. There’s this low bending motive that repeats. It’s introduced right at the beginning, and then it’s used when they knock over the lantern during their monopoly game which makes a loud noise and they realize the monster is nearby; and when Emily Blunt’s character is down in the basement and drops something, and later on it gets more full-blown when the she realizes the alien is stalking her inside the house. At that point, it took a little longer to figure out how that should be represented, partly because there was no visual to work from, I didn’t see what the actual creature would look like until much later in the process. We had a couple scoring sessions, one was to record acoustical things that we could manipulate electronically later on, which was in January  and there were no visuals for that. The second session was in February and there were a couple visuals of the creature running through a field, but still no images of how it located its victim or how it perceives sound, with armor plates opening up, so it took a while to figure out musically how the monster reacted or behaved physically. Q: To what extent did you have to work in concert with the sound designer to provide a compatible sonic substance? 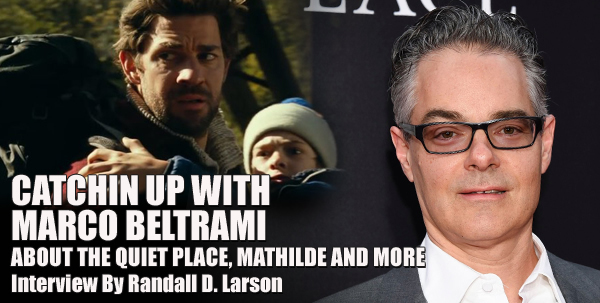 Mario Beltrami: They were working independently in New York or somewhere, but I didn’t actually meet with them. We spoke with them a few times but the main thing we did was to get updates from them all the time on what they were working on. That way I could work to their latest incarnation of what the sound was doing. And then as I worked out musical ideas I would send that to them and they would cut them into their working files so the sound department knew as well what the music was doing. So even though we didn’t work in the same room we were aware of each other’s work as an ongoing process. Q: As everything started to come together were there any other elements of themes or motifs or musical textures that you brought in? Mario Beltrami: After her character’s water breaks until the end of the movie, there’s one big arc of increasing tension, and the music needed to reflect that, amp that, and shape it. This is a compositional problem, especially when they’re making changes to the edit that we have to follow or compensate for. We don’t want to start the energy level of the music at a ten even though it’s super scary – and we know as soon as her water breaks that they’re going to be in for trouble. But we needed to give it a direction. Part of that was solved in a couple of long sequences. There’s one scene that goes all the way from the basement through the kids on the silo and the monster attacking, we had this idea of something almost like a shepherd tone, a constant feeling of rising tension, like a barber pole going around, seeming to always be going up. Q: I understand you recorded the score in your own studio? What kind of tools did you find especially helpful in that process? Mario Beltrami: Everything started acoustically and then Buck [Sanders] did a lot of processing to the instruments to make it what it is now. I had a sound file that I would work with and when Buck would send me new things he’d created I’d add them to that file. It was like a constant back and forth type of thing. And then taking orchestral parts, whether it was something from a single instrument, which the low-bend effect came from, or ensemble orchestra tracks which I’d add as the monster piece grows in shape, it was a question of taking the things that we recorded first, manipulating them, and coming up with a new design for the score from that. Q: You composed a sophisticated and wonderfully harmonic score for the Russian historical film, MATHILDE. How did you get involved with that? Mario Beltrami: There’s a Russian composer here in L.A. named Anna Drubich who has worked with me on several projects, and she mentioned to me this production that was going on and she said it looks really good, visually. She put me in contact with them and they sent a copy of the film that they were working on and I thought wow, it sounds like a really interesting project and a unique opportunity to work in Russia. The director was temping the film with a lot of my music and it just seemed like a good fit. Q: How did you come up with your musical approach to this lavishly produced costume drama? Mario Beltrami: The story is about this supposed romantic relationship between the heir to the Russian throne, Nicholas Romanov, and the ballerina of the Imperial Theater, Matilda Kshesinskaya. The idea was to use source music for the ballet scenes, but for the score the director it to be a lot more minimal and to tell the emotional backdrop of the story. He didn’t want it to sound period or anything – he wanted to keep it classically inspired but more simple. Most of the score is that way. There is a cue, the first cue on the CD [Twilight of the Empire], which I wrote originally for a scene later on in the movie where there’s a fire that takes place and there’s a lot of intercutting between sequences; some of it ended up being used but it didn’t survive intact. But I’d I recorded the whole piece, and since I felt I had this great orchestra [the Mariinsky Opera] with Valery Gergiev conducting and I had to stretch a little bit so I wrote that piece for them to play and it was just amazing just to hear it, so it’s included intact on the soundtrack album. Q: I wanted to ask about THE SNOWMAN from last year, which is a pretty interesting suspense film. How would you describe your score on that? Mario Beltrami: That’s a little bit of a hybrid. There are definitely some electronic elements to it but it’s mainly a classic approach, I guess, with some unique instruments in it. It’s a suspense thriller. Mario Beltrami: That’s ongoing, actually. 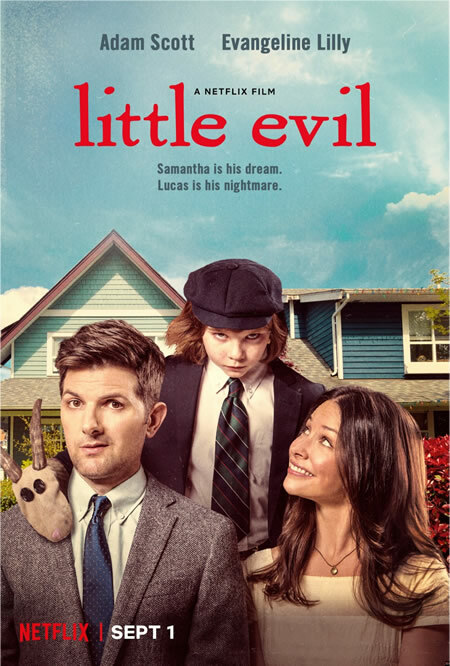 It’s completed its second season [premiered June 6th]. Like you mentioned it’s a co-score I do with composer Dennis Smith. It’s an amazing production, everyone I work with is an enjoyable bunch and I always have a fascination with the real sort of super-heroes out there living the life of adventure! Q: What was your take on scoring this military film and what elements did it need to convey the military aspect, the danger aspect of being in a war zone, and the camaraderie of the soldiers? Mario Beltrami: The music has to do all those things, I think the thing that is also important to the musical language is that the setting of each season is in a different location – the first season was set in Africa with the Boko Haram and the second season was in Chechnya. The score is all done electronically, save for every now and then on a few episodes we’ll have some live players, but it’s pretty much done in the electronic studio. You’re right, it’s a mixture of the emotional side of the characters and what they are going through in their personal lives and the suspense and action of the missions that they go on and the intersection of their lives in these ways. It covers a lot of ground musically. Mario Beltrami: That was actually for a local guy in Malibu that I knew. We all made this movie and I thought it’d be neat for some of the people who work with me to share in a credit, so we did this together as a group project. It’s in the genre of a fun horror comedy type thing so the music could afford to be a little over the top in places. It was again a hybrid of some electronics, mainly, with some orchestral elements. Some of it was more classic Gothic horror material, some more of a contemporary hybrid vibe, sort of a mixture. Q: Having to do with a six-year old boy who is suspected of being the Anti-Christ was there any need for OMEN-esque choirs? Mario Beltrami: Only in jest! We didn’t actually have any singers, we used samples for it! Starring Shailene Woodley (in a critically acclaimed performance) and Sam Claflin and directed by Baltasar Kormákur, ADRIFT is based on the true story of two free spirits whose chance encounter leads them first to love, and then to the adventure of a lifetime as they inadvertently sail directly into one of the most catastrophic hurricanes in recorded history. In the aftermath of the storm, Tami awakens to find Richard badly injured and their boat in ruins. With no hope for rescue, Tami must find the strength and determination to save them both. 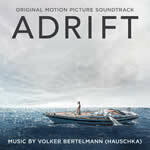 “ADRIFT tells a story about love and the fragility of human existence,” Hauschka explained, “so I wanted to create some sort of instrumental tension to reflect both darkness and peril, as well as lightness and love in this film. We ended up recording a full string orchestra at British Grove in London and added piano and experimental electronics to create a diverse and dynamic score.” The bulk of the score, after going through the hurricane, develops as slowly drifting sound textures, dappled by contrasting elements of piano, windblown electronic designs, and suspended patterns that always maintain a sensation of drifting amid calm or moving waters, while more muscular portions are reserved for the main title and the romantic flashbacks that provide the film’s backstory. As the music purposefully drifts along, its harmonic language captures both the love story and idyllic relationship the couple has found, while reflecting a bit of the harrowing situation they wind up in, without moving into direct discordant territory; even with potentially surging musical treatments like “The Storm” and “Freighter Bow Wave,” the musical perspective remains on the couple and their endurance and strength to persevere. The score’s particular magic is found in sonic treats hidden within the weave of Hauschka’s musical textures – like the sounds of the mast’s creaking wood creating a harmonic tension in “10 Days Adrift,” or the growing closeness of distant drums that perhaps reflect the din of a ship’s massive turbines – or the pummeling heart of anxiety – in several tracks, such as “Makeshift Mast,” “Broken Ribs,” and “Crossing the Horizon.” And finally there is the affecting and honest emotional relief of “Salvation.” The album concludes with the original song, “I Hope That I Don't Fall in Love with You” written and sung by Emilíana Torrini; its soft simplicity is a refreshing contrast to the score’s thickly textured rhythms and modes. Both are thoroughly likeable. 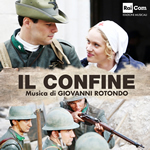 IL CONFINE (The Border) marks the second collaboration between Giovanni Rotondo and director Carlo Carlei, since 2014’s IL GIUDICE MESCHINO. The new film is an epic television miniseries centering around three main characters as they discover the joys and pains of love while their lives are distraught by the events of World War I. “The music was recorded with a full symphonic orchestra and a full choir, and features performances of highly skilled soloists (violin, cello, boy’s voice, soprano, and 2 Bulgarian voices),” Rotondo explained. 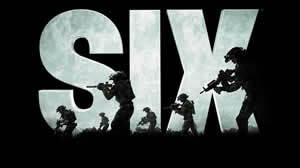 “The writing is thematic and the main characters’ themes develop through the movie. Various tracks alternate between romantic orchestral moments with a modern electronic approach. A contemporary writing was also applied to some scenes characterized by modern playing techniques in the orchestra.” Rotondo’s mix of classical and modern techniques really gives this score a compelling attractiveness, with a brevity of themes but each instance finding his pleasing melodies and orchestrations beautifully crafted and benefitting from both the traditional and modern methods. One particular standout track is “La guerra Ã solo paura” (“War is just fear”), a gorgeous rhythmic piece that grows out of a some furtive string figures into an assertive, snare-driven string progression enhanced by soft choir and a robust female vocalise, a very powerful and emotive cue. That vocalise is nicely reprised in “Trincea” (Trench), offset against striking electric bass notes and rising strings. Sparkling notes from electric guitar lead into “Abbandonata” (Abandoned) which opens into a sad, persuasive cadence for continued guitar, strings, and soft arpeggios from piano. Moving back into the traditional form, Rotondo’s “Il ritorno di Bruno” (Return of Bruno) is a beautifully melodic reunion piece for eloquent piano and strings, the tune elevated and impassioned into a sublime 7-minute richly harmonic presentation. “Festa di diploma” (Diploma Party) is celebratory cue adopting a delightfully festive air and some wonderfully deft string playing at its end. Overall the score in its entirety is appealing, heartwarming and involving, and makes for a wonderful listen on its own. Austrian-born composer Gerrit Wunder, known for his horror scores KISS THE DEVIL IN THE DARK and CREATURES OF WHITECHAPEL (both available from MSM’s ScreamWorks Records), leads listeners of this revenge epic down a rough-hewn trail into Arizona territory with this guitar-driven Morriconesque Western score, which starts with a rush and, aside from some pretty stopovers into trailside rest stops along the way, pretty much carries it on until the end, and likeably so. Writer/director Royston Innes and writer/actor Ric Maddox follow the path of a young man forced on a journey to avenge the death of his father, protect the Apache tribe he has grown to love, and reclaim the land and gold that is rightfully theirs. 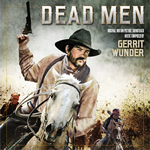 “The challenge when composing the score for DEAD MEN was keeping a modernized Sergio Leone-esque root and pairing it with a Native American tone while frequently bending off into intense action thriller-like chases and suspense music,” said Wunder. “Growing up with Italian western movies in my home country, Austria (which was actually not very different from the Old West back in its 1800s), I quickly started feeling comfortable with this style.” The music alternates between action-packed set pieces and desert atmospheres using instrumental country music, Native American sounds, and the best traditions of Italian Westerns in the vein of Morricone and company. It’s a very fun ride and highly recommended. This album is available digitally on iTunes and Amazon, streaming on Spotify, coming soon on CD from Kronos Records. Miro Kepinski is an award-winning film composer, producer, and musician from Poland. Among his credits include a multiple-award winning feature documentary THE WOUNDS WE CANNOT SEE and a dark-comedy SUICIDE FOR BEGINNERS. 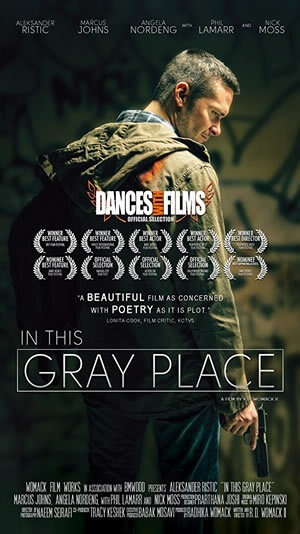 IN THIS GRAY PLACE is one of his most recent scores, an American feature drama directed by R. D. Womack II (CALL OF THE WOLF) and featuring Phil LaMarr and Emmy-winning actor Nick Moss. [Synopsis: After a robbery gone wrong, Aaron – barricaded in a rest stop bathroom – faces down the police, hallucinations, and a grim secret.] Kepinski has written the score for three instruments, violin, cello, and piano (he performed the latter himself), but this trio is enlivened by superlative performances, deft orchestrations, and very close miking and mixing which brings the sound to a notably crisp dynamic. The music ranges from a variety of interactions between the instruments in reflective and tense perspectives, to exploding in a sudden marvelous rush of fast string bowing and cello undercurrent over a beat of piano chords and growing energy that is quite impressive (“Grenade”). Elsewhere (“Robbery”), Kepinski contrasts a very deep and reverberating piano note in low register against the rough slide of bow against cello strings (very close miked) to create a powerful resonance as Aaron reflects on his sins. Throughout, this is a finely textured treatment that is quite absorbing and interesting. The film premiered at the Kansas City Film Festival earlier this year, it will have its a LA premiere this coming Sunday (June 17, 12:30pm) at the ‘Dances with Films’ festival at TCL Chinese Theater. The score had its exclusive streaming premiere on RMF Classic, a Polish film music radio. Listen to the score streaming on RMFClassic online radio from Poland here (if a cookies-request window pops up, ignore in and scroll down using the right scroll bar until a Soundcloud player rolls up, then hit play on that player to listen). 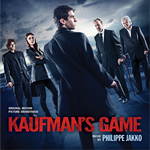 MovieScore Media reunites with ALLIES composer Philippe Jakko for another tense thriller score using an unusual orchestral ensemble. From writer and first-time director Helier Bissell-Thomas, KAUFMAN’S GAME tells the story of Stanley (Jye Frasca), a young man who dreams of becoming a champion boxer despite the fact his physical build makes him unsuitable for such heavy workload. When a stranger approaches him outside the gym with the offer of a specially produced steroid, Stanley is drawn into the increasingly more violent operations of a powerful organization… while The Girl (Amy Pemberton) passes through as a mysterious, archetypal femme fatale whose agenda is quite uncertain. “The music had to be eerie, ominous, mysterious, with tension as a modern film noir,” Jakko explained. “In order to keep an anxiogenic ambiance, I used unusual harmonies, atonal moments, glissandi, quarter tones; harmonics. But I didn’t want it to sound like a horror soundtrack! The music has to be sometimes cold, other times it needed to be warmer. I also used traditional leitmotif techniques, such as giving Stanley a soft piano arpeggio or a Moog synth for the Mafia guys.” Jakko’s score maintains an interesting sonic texture; treating Stanley sympathetically as one who is victimized by both the manipulative stranger and the mafiosos who come into play during the plot’s strange turnings In so doing, Jakko also treats the director’s noirish and Kafka-esque stylisms with striking elegance, while providing an inventive set of textures, rhythms, and motifs that enhances the film’s distinctive storytelling. The score features an interesting palette of strings, horns, electronic synths, cristal baschet, vintage organ, various programmings, and a few parts for cello, played by soloist Eve Marie Caravassilis, which articulately meld together, acoustics nicely interacting with electronics (“London Night” being a particularly good example of this as the wiry phrasings of synth offset against the organ and creepily twisting presence in the strings, creating an eagerly worrying atmosphere). The score is thus both purposefully disturbing and eloquently compassionate, the two sensibilities seeming to merge into a single musical organism as the story’s journey progresses and resolves. The result is a very interesting sonic collage and some especially unsettling noir musique. 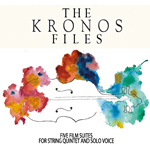 Kronos Records has released a very impressive compilation consisting of suites from five film scores arranged for string quintet and solo voice. The project is the brainchild of Italian composer Furio Valitutti and Kronos Records. For this project, they have worked closely with the composers of four of these pieces: Frank Ilfman (BIG BAD WOLVES), Christoph Zirngibl (TRANSIT), Nic Raine (DIE SPIONIN), Furio Valitutti (TH3 PIT, 2013), and Francesco De Masi (MAD DOG, 1984). For DeMasi's MAD DOG they also had the kind help of the late Maestro's son Filippo. The result is five musical suites for a string quintet comprising of Carlo Vicari and Alessandra Xanto (violins), Lorenzo Rundo (viola), Marco Simonacci (Violoncello) and Maurizio Raimondo (Contrabass) and the solo voice of Korean talent Jee Hee Han. The performances are delightful and the ensemble’s treatment of these film score suites are quite compelling, with Han’s powerful voice rising above the group to take on the distinctive and striking melodic forefront. Very impressive, The Kronos Files succeeds as a great idea worthy of a sequel or several! 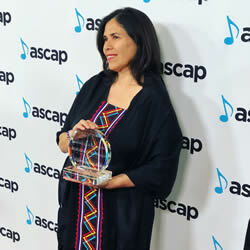 Latina composer Germaine Franco (pictured) was one of two honorees at the ASCAP Screen Music Awards in Los Angeles on May 23rd. She was recognized with the ASCAP Shirley Walker Award, which honors those whose achievements have contributed to the diversity of film and television music. Germaine was proud to wear an original dress by Mexican designer Lydia Lavin as she was honored with the evening’s prestigious award. Germaine gave an inspiring acceptance speech, calling for unity: “To all the female composers out there, to all of the people of color, to all of [the] room, we’re all one community. Let’s not be divided by the titles. Let’s just create music together, create love and hope and joy because we know the line between our life and the next chapter is very fine. So instead of building the barriers, let’s just break them down. And I like to do that through music and I hope you’ll join me.” Franco is best known for her work on Disney/Pixar’s COCO, where she was a songwriter, co-orchestrator, arranger, and producer; her work on the film earned her an Annie Award - the animation industry’s highest honor. Composer Miriam Mayer reported on Facebook that she is excited to have scored RECOVERY, directed by Omar Dzlieri and produced by Sara Ataiiyan. The film is a drama about a recent cancer survivor who has to adjust to a new life, while being plagued by an insurmountable insomnia which makes days and seconds bleed together. The film premiered on June 4 in Santa Monica. Watch the film’s trailer on Vimeo here. 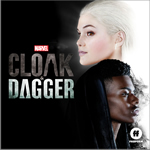 Marvel Music is releasing the digital versions of two Marvel’s CLOAK & DAGGER soundtrack albums. 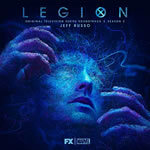 The first release, out June 9th, features songs from the Freeform Original Series. A digital score album by composer Mark Isham will be available July 6, 2018. Based on the comic book series, MARVEL’S CLOAK & DAGGER is the story of Tandy Bowen (Olivia Holt) and Tyrone Johnson (Aubrey Joseph) – two teenagers from very different backgrounds, who find themselves burdened by and awakened to newly discovered superpowers which are mysteriously linked to one another. UNDER THE SILVER LAKE is an upcoming neo-noir comedy drama directed by David Robert Mitchell, director of IT FOLLOWS. A24 is releasing the film in Los Angeles and New York City on June 22nd, before expanding nationwide in July. For scoring duties, Mitchell turned to previous collaborator Rich Vreeland aka Disasterpeace, who provided a memorable outsider’s perspective to the horror genre for IT FOLLOWS. 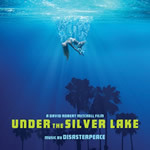 For their second collaboration, UNDER THE SILVER LAKE pushes both director Mitchell and Disasterpeace into unexpected territory. Disasterpeace, best known for his synth-driven work, delivers a full orchestral score for the first time. The end result lends the film a distinct noir thriller vibe that emphasizes its dark, unraveling narrative. Milan Records will release the soundtrack on June 22nd, 2018, with a double LP vinyl release to follow in the summer. If you’re enjoying Lakeshore’s release of Christopher Lennertz’s marvelous score to Netflix’s LOST IN SPACE but you got it from Amazon or via the recently released CD version with only 22 tracks, you’re missing out on seven bonus tracks of pure Chris Lennertz science fiction goodness, which are exclusively available from Apple Music/iTunes. Sample or purchase the extended version here! IFC Films highly anticipated biopic of MARY SHELLEY stars Elle Fanning as the titular writer, with Douglas Booth as Percy Shelley, Tom Sturridge as Lord Byron, and Maisie Williams as her friend, Isabel Baxter. Directed by Haifaa al-Mansour, Saudi Arabia’s first female director. English actress and composer Amelia Warner scored the film, emphasizing the story’s inherent ghostly themes by featuring vocalise and haunting orchestral rhythms. “We used a lot of synths layered with the orchestra.,” Warner described. “The real strings layered with electric synths created a strangeness and modernity that I think works well with Mary’s character. We found some amazing musicians and two incredible singers who are a huge part of the score. We used a soprano and a counter tenor and had them sing in a very expressive way. For example, when things start to go a bit crazy in those Geneva scenes, we got the singers to scream and to slide up and down the scale to create an unsettling disorientation. It was a difficult cue and took a while to get right. Voice was really important as were the strings, which are slightly discordant. We also used breath and heartbeat to feel like we are experiencing it as Mary.” The soundtrack has been released on CD by Universal Music Classics/Decca Gold. MovieScore Media presents an overview of the works of composer Miriam Cutler, a mainstay of the documentary community. Ranging from a chronicle of Terry Gilliam’s unfinished Don Quixote movie (LOST IN LA MANCHA) through shocking documentaries about unusual people (ONE BAD CAT, FINDING KUKAN) to LGBT-topics (PANDEMIC: FACING AIDS, CHRIS & DON: A LOVE STORY, VITO), Miriam Cutler brings her unique vision to all subject matters. 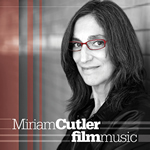 The Film Music of Miriam Cutler offers the composer's own selection of her favorite cues. Some films have raked in awards, others have never seen the light of day – their only common feature is that they offer fascinating examples of how a composer conquers unique challenges, trying to encapsulate all the features of the documentaries. “Both film and music are collaborative endeavors,” Miriam said about the experience of being part of the documentary community for 20+ years. “I have had so many great creative relationships along the way. Filmmakers I have worked with are among the most courageous, inspired, and creative people I know.” The soundtrack was released digitally on April 27, with a physical CD release forthcoming from Quartet Records. Watch a video featuring a suite from the soundtrack here on youtube. 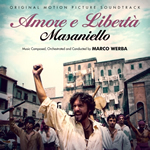 The soundtrack of Angelo Antonucci’s 2006 historical film AMORE E LIBERTÀ, MASANIELLO (Love & Freedom, Masaniello) has been released on CD from Rosetta Records. The music, composed and directed by Marco Werba in collaboration with Oscar winner, Francis Lai, who composed the score’s love theme, was performed by the Bulgarian Symphony Orchestra. The CD is available from Rosetta Records. Marco Werba is currently working on the music of the Albanian art film INANE (The Summer Without Return), directed by Besnik Bisha; he will also write the music for the drama EL SEGRETO DEL RETRATO by Janet Alvarez Gonzalez, which will be shot in Spanish. 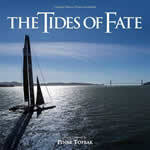 Pinar Toprak (KRYPTON, RESILIENT 3D) recently announced on her Twitter page: “I’m very excited to announce that my score for the 34th America’s Cup documentary TIDES OF FATE, which I wrote and recorded at Sony last year with a 70-piece orchestra will be released by Varese Sarabande Records! Sailing and music, it doesn’t get much better than this!” The album is now available digitally from Varese Sarabande, via iTunes, here. 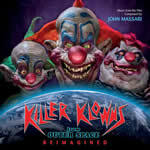 In addition, Varese Sarabande has released the eagerly awaited reimagined soundtrack to the 1988 cult classic, KILLER KLOWNS FROM OUTER SPACE. This project has been a labor of love for composer John Massari. He spent two years assembling a top-notch Hollywood orchestra, enlisting famed composer Bear McCreary (Walking Dead, Outlander), to newly record his beloved synth score with a symphony orchestra – and also asked the Dickies to record a new version of their KKFOS theme song. This release will appeal to the large cult following for the movie as well as those who love thematic, orchestral film music. 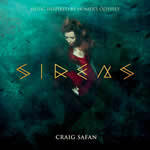 Varèse Sarabande has also released Craig Safan’s Sirens digitally and on CD on June 1, 2018. The album features original music by the composer of THE LAST STARFIGHTER, and is a kind of follow-up to Safan’s 2015 instrumental album Rough Magic. Sirens is an original composition based on the tales of the classic Greek myth The Odyssey and the amazing locations where the tales took place. “Sirens is inspired partly by my love of The Odyssey and partly by my lifelong love of myths. I've been enchanted by both since I was a child,” said Safan. “These tales and their magic have resonated throughout my life. With Sirens I'm not portraying the literal tales in The Odyssey, but rather the innermost feelings and memories they convey. The inward experience and journey, the wanderings of our lives, our relationship to family and home, and the deeper sonorities of existence. UK Composer Ruth Barrett (VICTORIA, CITY OF TINY LIGHTS, WHITECHAPEL) has scored the 4-episode BBC miniseries, COLLATERAL, in which London detectives investigate the seemingly random murder of a pizza delivery man uncover a convoluted case of interlocking circumstances amid a cross-section of British society. 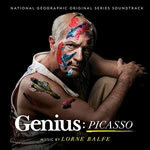 A digital soundtrack album has been released o Dubois Records. 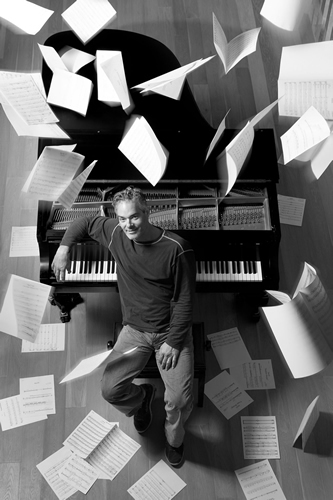 French pianist-composer Jérôme Lemonnier will be scoring the upcoming episodes of the France 2 production ALEX HUGO. The hugely successful crime series tells the adventures of former Marseille cop Alex Hugo, nicknamed "La Tendresse", who chooses to leave the city and a violence that he could no longer bear to isolate himself in the mountains, driven by his need for freedom. He now occupies a position in the French ‘Police Rurale’ and enjoys a tranquility which he was previously unaccustomed to. 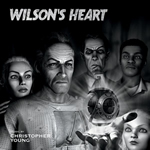 Varese Sarabande has released a soundtrack of Christopher Young’s score for the award-winning Oculus virtual reality game, Wilson’s Heart. This game is an immersive first-person psychological thriller set in a 1940s hospital that has undergone a haunting transformation. The player becomes Robert Wilson, a patient who awakens to the shocking discovery that his heart has been replaced with a mysterious device. The original soundtrack features a creepy, horror movie-inspired score perfect for the spooklicious sonorities of Emmy and Golden Globe-nominated composer, Christopher Young (HELLRAISER, DRAG ME TO HELL, SPIDER-MAN 3). Multi award-winner and BAFTA-nominated composer Olivier Derivière (Get Even, Remember Me, Assassin’s Creed IV Black Flag – Freedom Cry) reunites with DONTNOD Entertainment, the studio behind Remember Me and Life Is Strange, to score Vampyr, a deeply immersive role-playing experience steeped in vampire mythology. The soundtrack is now available digitally on all platforms. Derivière’s inspired fusion of fierce cello, performed by Eric-Maria Couturier from Ensemble Intercontemporain de Paris, and sublime industrial textures provide the perfect companion to Vampyr’s ferocious combat and the inner struggle of protagonist Dr. Jonathan Reid. “I wanted to capture the struggle between the doctor and vampire that Jonathan Reid becomes,” revealed Derivière. “Only a virtuoso cellist like Eric-Maria Couturier, with all his experience in contemporary classical music, could give this performance such complex duality with his instrument. 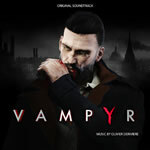 With the use of dual strings and so many disturbing notes, his musicianship evokes something unique that perfectly matches the journey of Jonathan Reid.” Derivière further enhances the player’s experience by manipulating drones and other hybrid sounds to pan from side-to-side while you are exploring the darkly atmospheric streets of early 20th century London. As the sound of your feet echoes, so does the music. For more information visit http://www.vampyr-game.com. 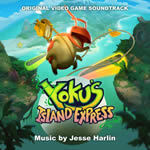 Composer Jesse Harlin’s (Mafia III, Star Wars: The Old Republic) score for the video game Yoku’s Island Express has been released on the video game soundtrack label Sumthing Else Music Works. The game is a family friendly, quirky, open world pinball game that allows the player to expand beyond the typical pinball experience. “Yoku’s Island Express is an adorable and charming oddity,” explained Harlin. “In short, it’s an open world Metroidvania pinball game about a tropical island with a Cthulhian elder god problem. As strange a mash up as that description is, I knew I needed to create something just as charmingly strange musically so that the score could function as a character in the game all on its own. Game players hear everything from beat boxing to bebop, medieval madrigals to chiptune basslines, and sinister reggae to Keystone Kops-styled piano chase music. There’s a song with pinball machine sounds in the percussion tracks, and that same track has banjo, ocarina, talking drum, and a drunken trombone. There’s even one track that uses the DNA sequence of yeast run through a robot-voice generating vocoder as part of the backing track. The score is definitely a little out there! Book & Vinyl News will resume next column.